RESERVED for RV. 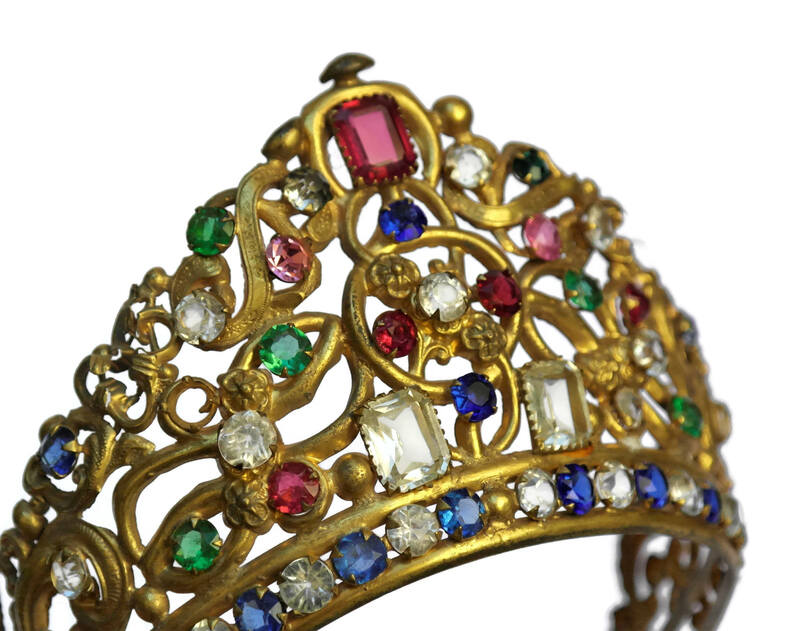 Antique French Jeweled Crown. 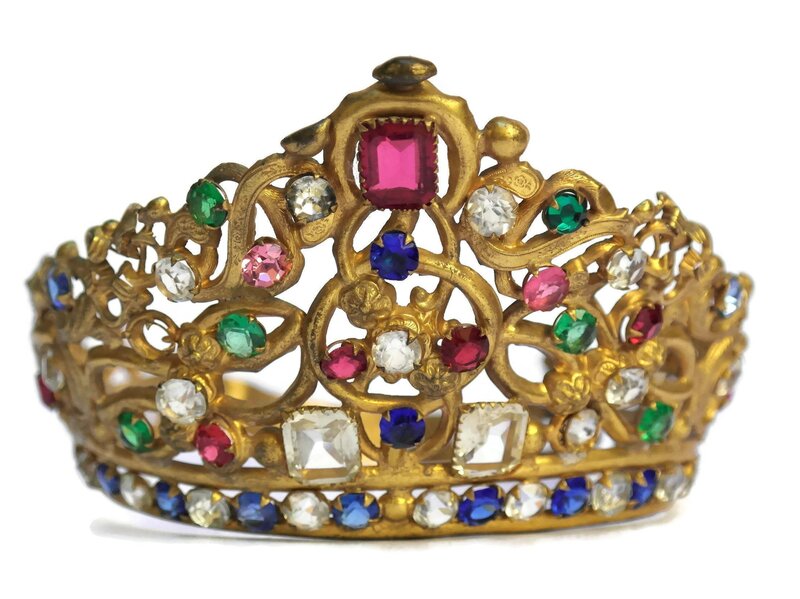 19th Century Saint Tiara. 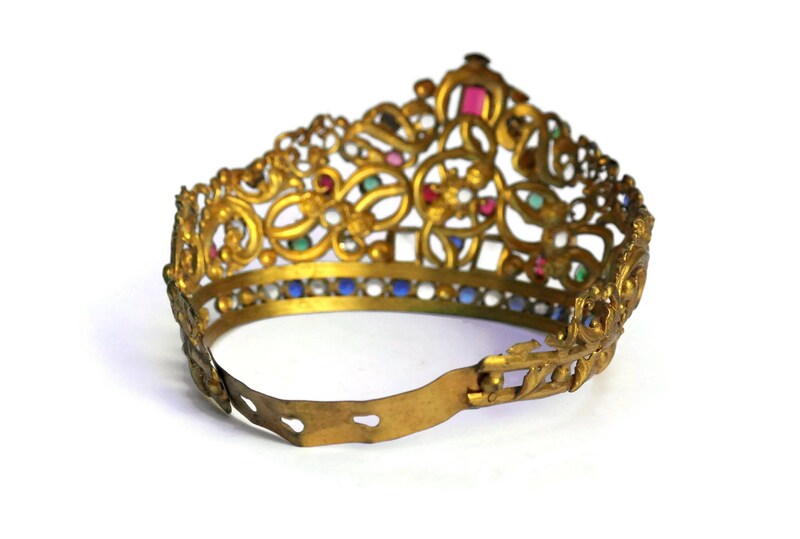 Adjustable Saint Statue Crown. 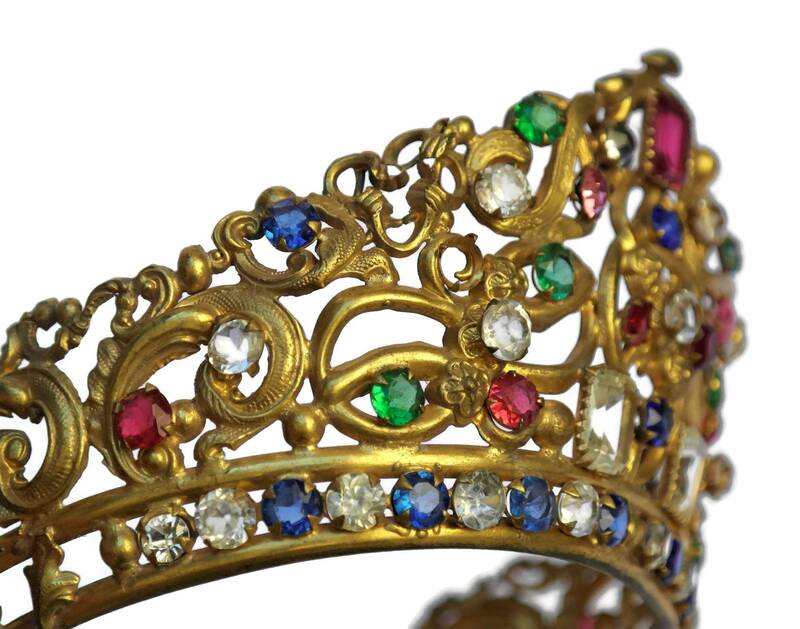 A magnificent antique jeweled crown dating to the mid 19th Century. It once adorned a large statue of the Madonna in a French catholic church. 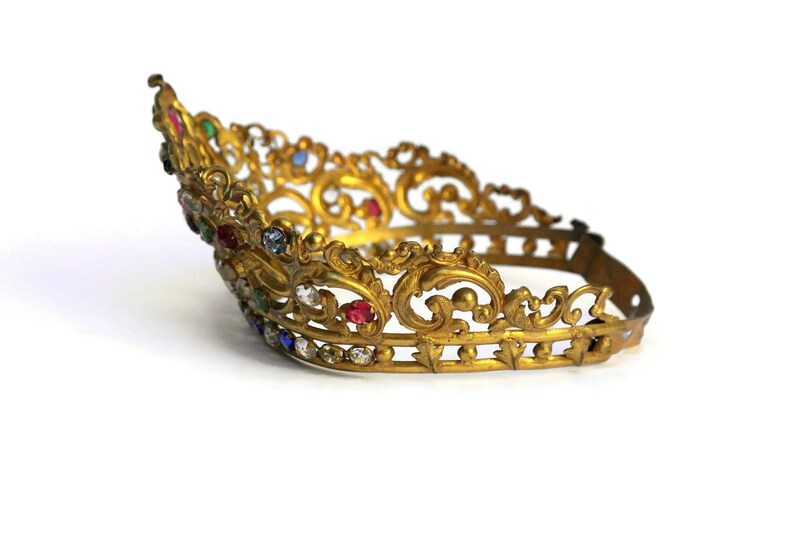 The large crown displays finely detailed craftsmanship with ornate swirls and scallops. 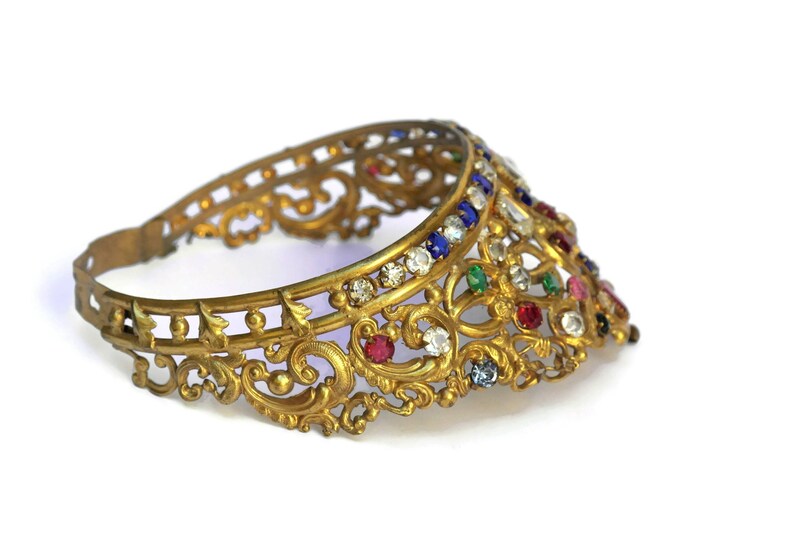 The frame has been created from gilded brass and it has been lavishly decorated with a rainbow assortment of faceted rhinestones. 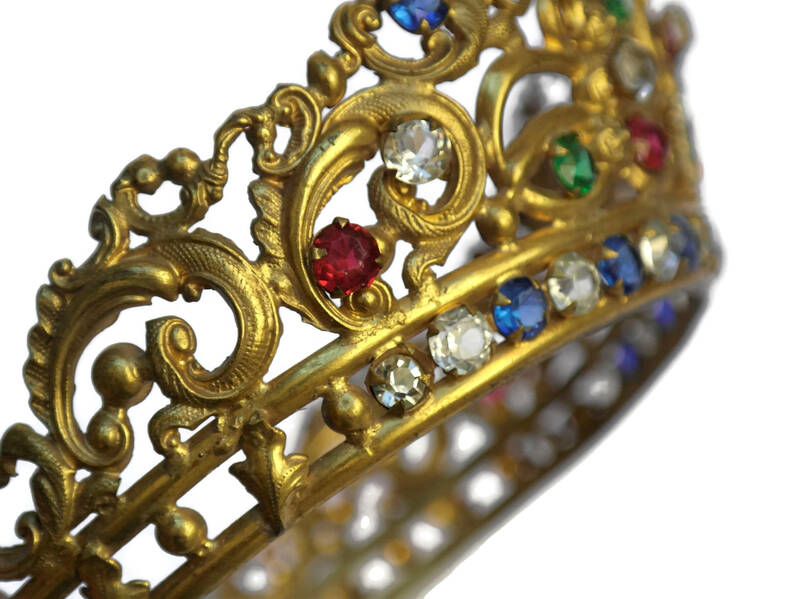 The bottom of the tiara features an elegant band of alternating sapphire blue and clear stones. 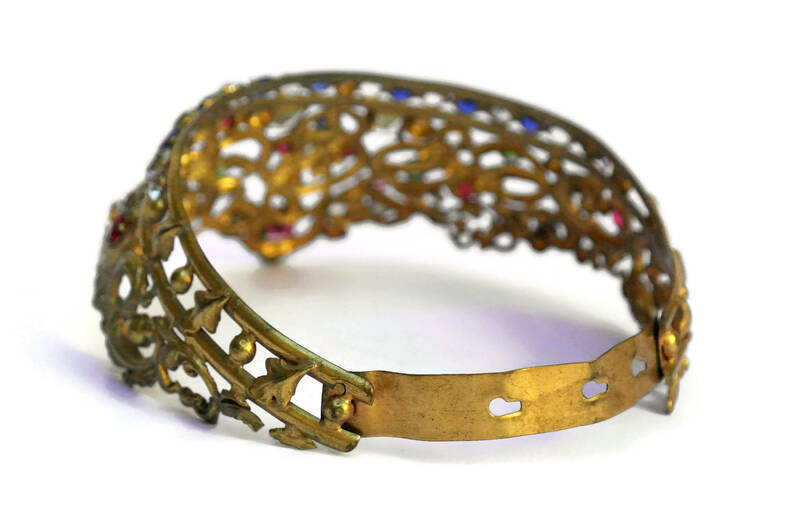 The saint tiara has an adjustable head band with 4 openings to make it larger or smaller. Circumference: Can be adjusted from 13 " to 14 " (34 cm to 36 cm). 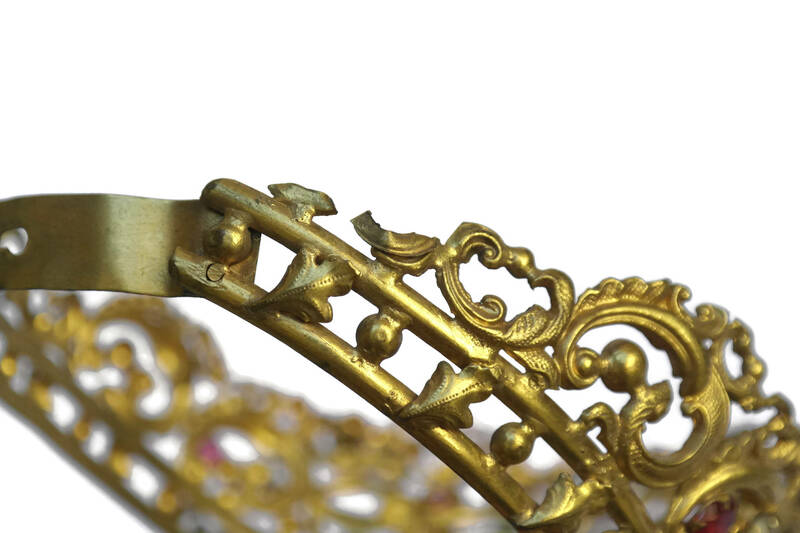 The antique French tiara is in very good condition with age-appropriate wear. 3 stones have been replaced and there is one missing stone. 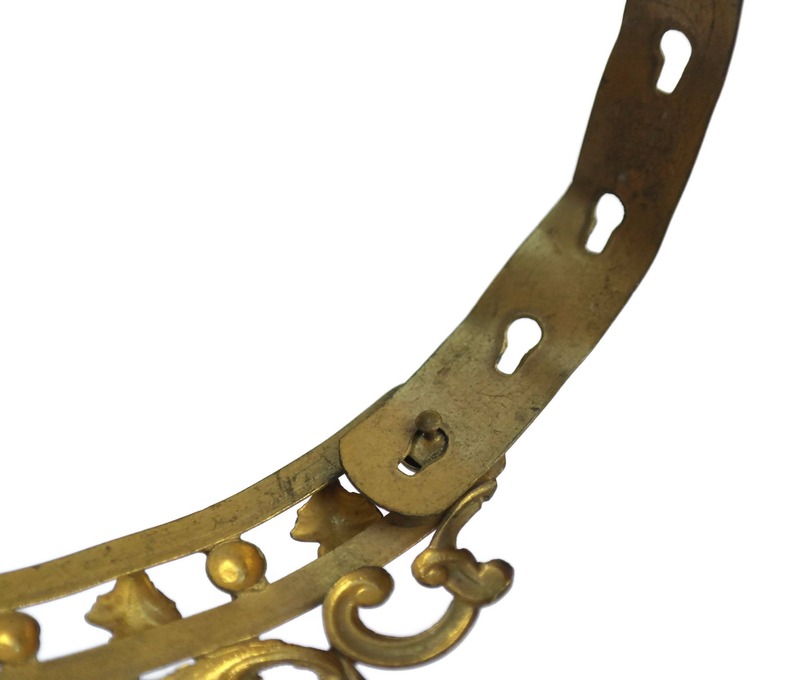 One small piece of a brass scroll has broken off.